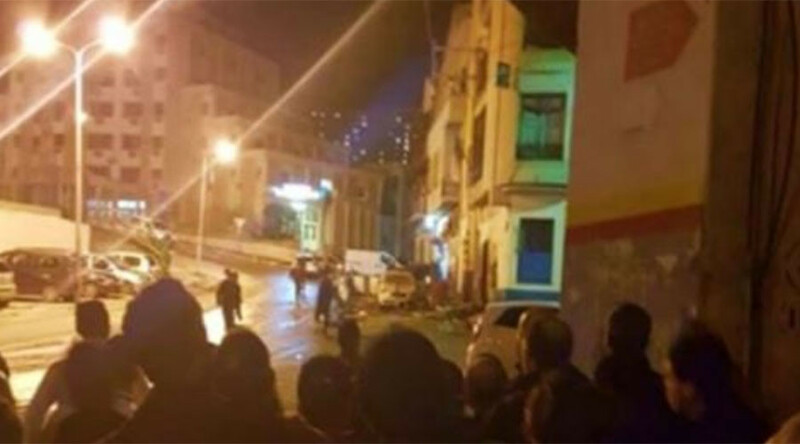 Several police officers have suffered injuries after a man wearing a suicide belt detonated himself at the entrance to the police station in a densely populated district in the northeastern Algerian city of Constantine, local media reported. — FADEL ZOUBIR (@FADELZOUBIR) 26 февраля 2017 г. The assailant reportedly intended to blow himself up inside the police station, but fell short of the target after being stopped by a vigilant police officer, who fired shots at the perpetrator, “precisely targeting the explosive belt carried by the terrorist,” TSA reported, citing Directorate General for National Security (DGNS), Algeria's civil police. However, the suicide bomber still managed to denote the explosive device as he was falling to the ground. There are conflicting reports concerning the number of officers injured in the blast. According to TSA, three police officers have been injured. Algerian El-Watan newspaper put the number of victims at two, citing hospital sources. There have been fears the number of injured could be much higher, as the police station is located beneath a building that houses “a dozen families,” according to DGNS. In the aftermath of the incident, which took place around 8:30pm local time on Sunday, the area has been put on lockdown. The attacker, who has died, was reportedly known to police as implicated in another assault, in which a police officer was killed, Sky News Arabia reported.